Even being celebrated in around mid June every two years, is still one of the most famous festivals in Tokyo. 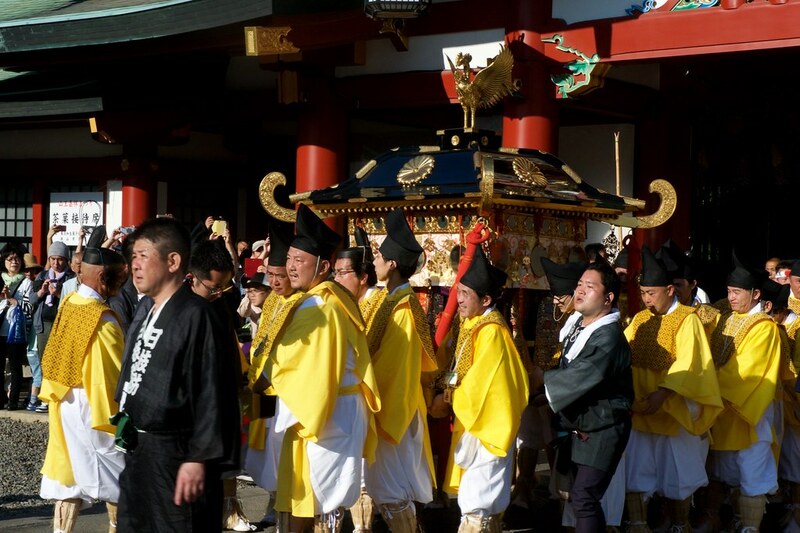 Whilst Sanno Matsuri takes place in even years, the Kanda Matsuri is celebrated in odd numbered years. With parades scheduled and festivities for a week, we tried to catch the parade along the Imperial Palace but missed it. 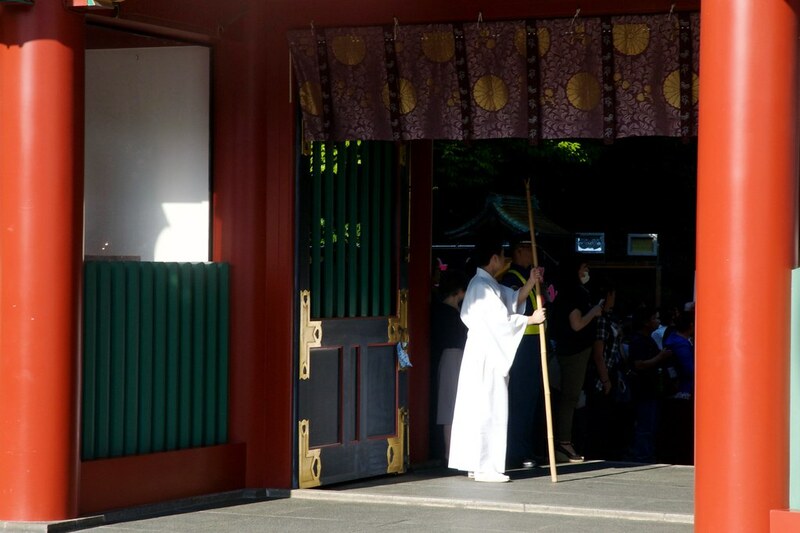 To not make another mistake on the parade route, we headed to the Hie shrine, where the parade finishes. 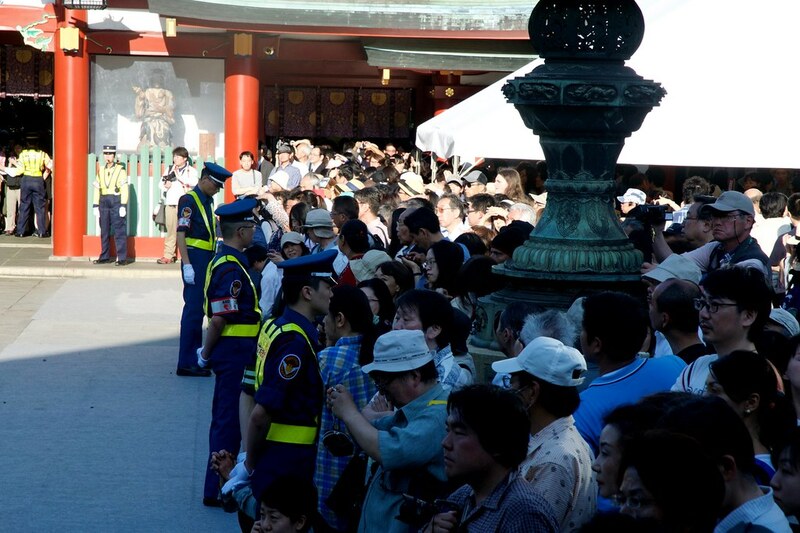 Waiting line to pray at Hie Shrine before the parade arrives. It’s almost impossible to think of a parade of 500 people on daytime in the streets of central Tokyo, but it happens. Roads are only partially closed, so traffic flows next to the parade. 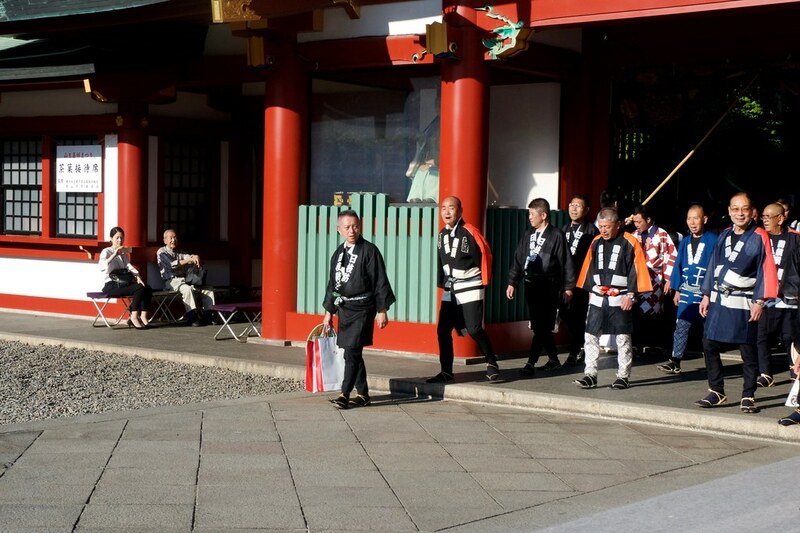 The mikoshi are carried along the city, with enough chances to spot the parade around Yotsuya, the Imperial Palace, past Tokyo station through Ginza, and surroundings of Hie Shrine. Make sure you’re in time with the parade schedule and the checkpoints, as they wait for no one. The starting and ending point of the parade is Hie Shrine. As the parade roaring sounds approaches the shrine, the tension rises. The first groups burst into the shrine grounds. 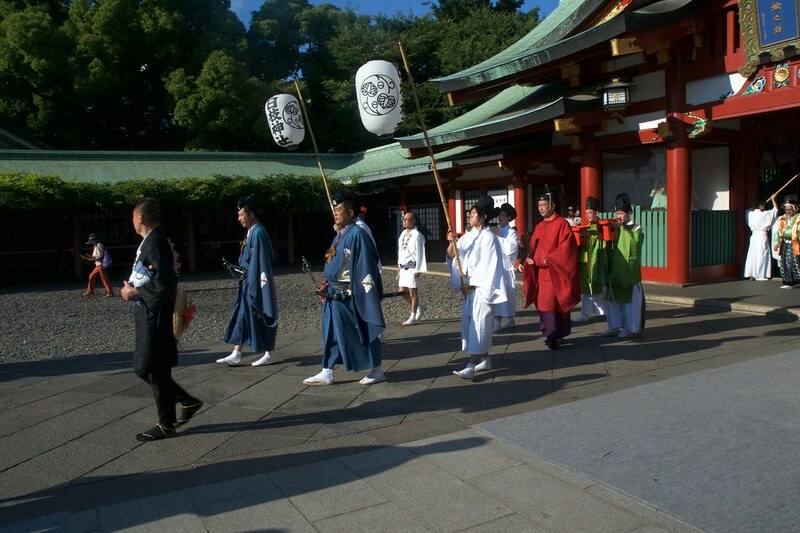 The Sanno Matsuri parade starts to flow into the shrine grounds. 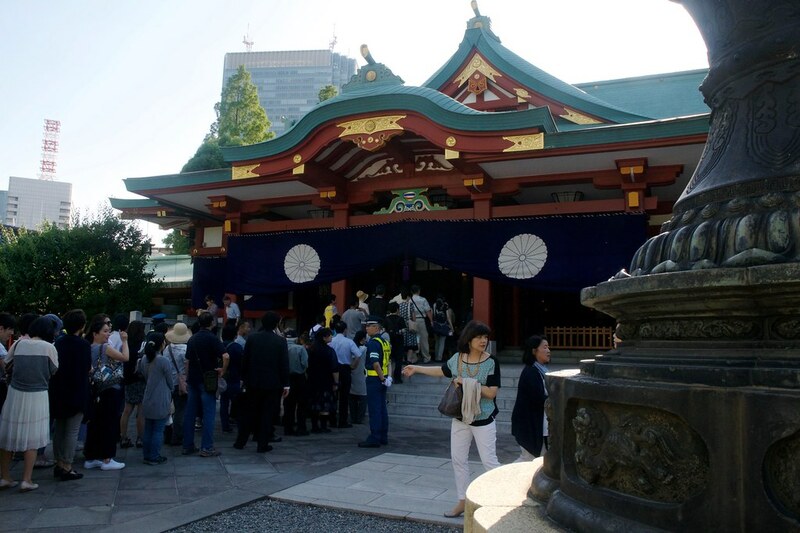 There are two lines to arrive to Akasaka Mitsuke station, the closest to Hie Shrine. The Ginza Line, and the Marunouchi Line. From Akasaka Mitsuke station, 8 minute walk to Hie Shrine. It’s located between buildings in a small hill, so pay attention to the large Japanese gate “torii” on the main street. Take the mechanical stairs from there to get near the entrance of Hie Shrine. Next Sanno Matsuri is scheduled for June 2018. 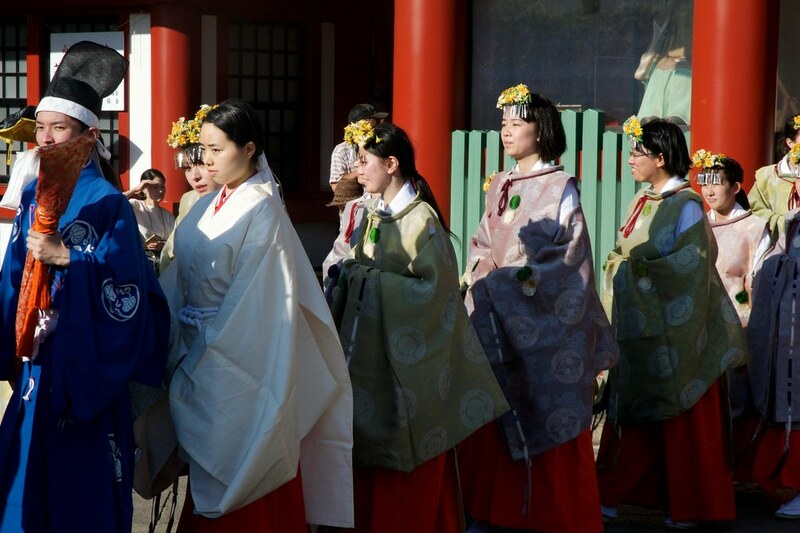 Over 500 people divided in groups and traditional clothes during Sanno Matsuri. The mikoshi make their appearance into Hie shrine after its walk through Tokyo Central. A power line stops the viewers from invading the parade. 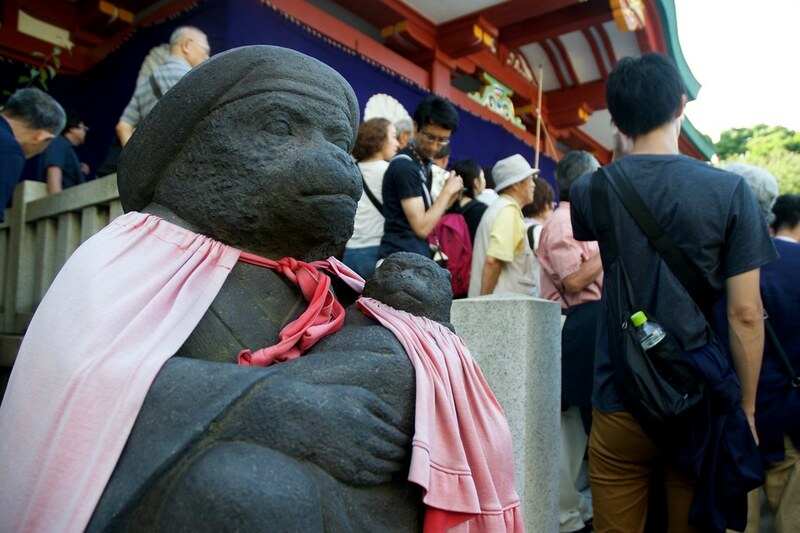 The monkey guardians from Hie shrine overlooking the Sanno Matsuri.